After a break of 20 years St. John Ambulance has returned to the West of Ireland. 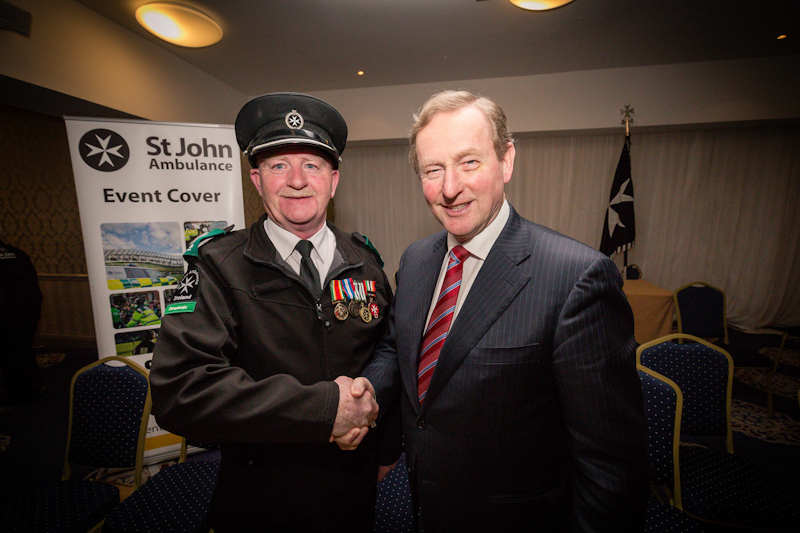 An Taoiseach Enda Kenny attended the official launch of the Mayo Division of St. John Ambulance on Saturday 4th February. Led by Michael Corrigan, the new division in Mayo, has a well trained and enthusiastic membership and has already become an important service in the local community and surrounding counties. St John AmbulanceCommissioner John Hughes officially launched the new division at a ceremony held in the Breaffy House Hotel, Castlebar. 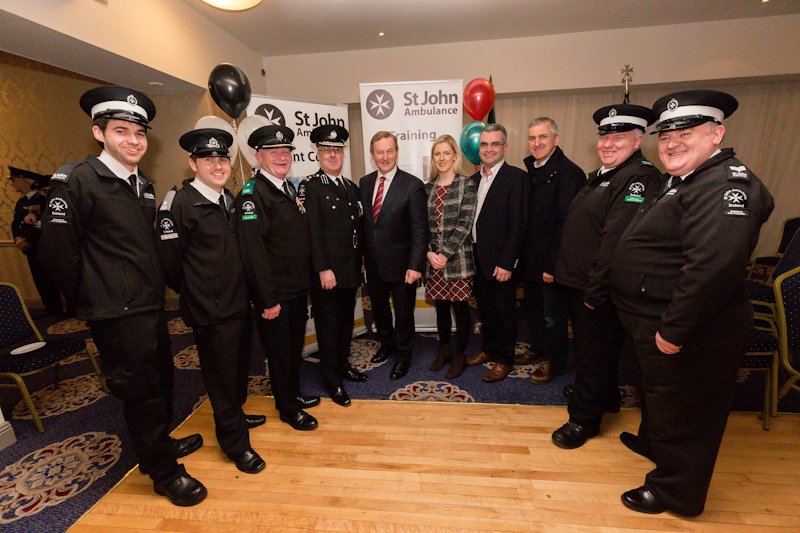 The event was attended by a large contingent of St John Ambulance members from all over Ireland along with local dignitaries Deputy Lisa Chambers, Deputy Dara Calleary & Councillor Martin McLoughlin. Commissioner Hughes praised the work of the members of the organisation and in particular the members of the Mayo Division. 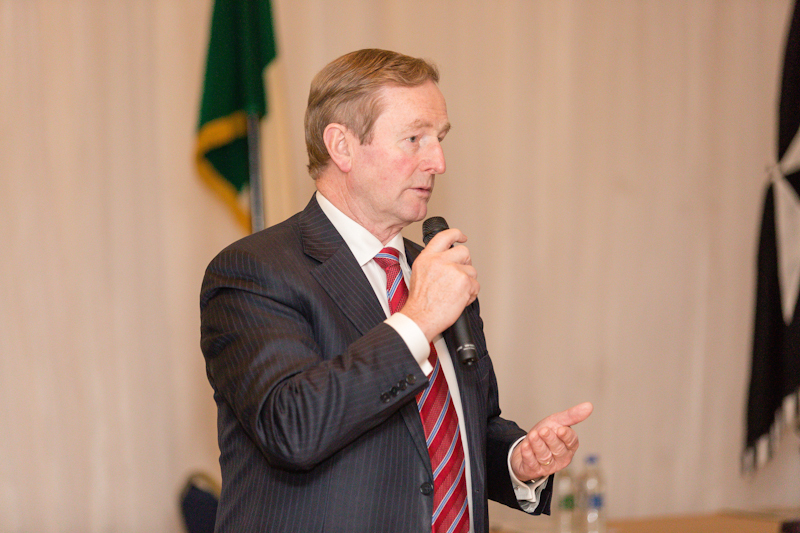 The Taoiseach, having just returned from an E.U. meeting in Malta, recounted having spent the morning with the Maltese Prime Minister who had explained the history of the Knights of St John and their defence of the island for centuries. The St John Ambulance organisation has its roots in the Order of St John. Deputy Kenny also praised the work of the organisation in Mayo and beyond in training the public and providing lifesaving cover at large and small events.